Palestinian President Mahmoud Abbas on April 13, 2019 sworn in a new government headed by Mohammad Shtayyeh, a long-time ally from his Fatah party. Mohammad Shtayyeh was administered the oath as the new Prime Minister of Palestine in Ramallah, in the Israeli-occupied West Bank. The new cabinet was also sworn in on the occasion. The appointment was opposed by Hamas, the Palestinian movement that governs the besieged Gaza Strip. The Islamist group viewed it as a blow to unity efforts. • The new government was formed after former Prime Minister Rami Hamdallah resigned in January 2019. Hamdallah’s resignation came following the failure of reconciliation talks between Fatah party and Hamas. • The swearing in of the new government officially marks the end of the stalled reconciliation efforts between the two groups. • The new government comprises solely of the Palestine Liberation Organization (PLO) factions, primarily the Fatah party and excludes Hamas and the Islamic Jihad group. • Two radical leftist secular factions of Abbas’s PLO, such as the Popular Front for the Liberation of Palestine and the Democratic Front for the Liberation of Palestine, refused to take part in Shtayyeh’s government, arguing that it will increase division among Palestinians. • Only five ministers from the previous government have managed to retain their positions. The other 17 ministers did not sit in the last government. As in the previous government, only three of the ministers are female. • Shtayyeh would be handling the ministries of interior and religious affairs until new appointees are named for the two posts. The new government has a number of pressing issues to resolve, including a dire economic situation. Shtayyeh’s immediate challenge would be to shore up the cash-strapped Palestinian Authority, which exercises limited self-rule under interim peace accords with Israel. The Palestinian Authority has been facing a major financial crisis due to steep US aid cuts. The crisis was further escalated by a dispute with Israel over the withholding of some 5 percent of the monthly tax revenues it transfers to the Authority. Besides this, Israeli Prime Minister Benjamin Netanyahu, who is heading toward a fifth term in office after an election on April 9, recently said that he would annex Israeli settlements in the West Bank if he is re-elected. On March 10, Abbas wrote a letter designating Shtayyeh to form the government and stated that he aimed to hold legislative elections in the West Bank, Jerusalem and Gaza. He, however, did not make any reference to the presidential elections, which Hamas has been calling for. Abbas, 83, has served as president of Palestine since 2005. A president’s term is supposed to last four years. Shtayyeh was named Palestinian prime minister on March 10, replacing the independent university president Rami Al-Hamdallah. The rival Hamas group that runs Gaza called the move blow to unity efforts that faltered since the two groups signed a new reconciliation deal in Cairo in October 2017, but disputes over power-sharing had blocked the implementation of the agreement. Sudan’s military council has removed defence minister Awad Ibn Auf from his role and appointed a new intelligence chief. The information was shared the council’s spokesperson Shams El Din Kabbashi Shinto on April 14, 2019. With the announcement, Lieutenant General Abu Bakr Mustafa will replace Salah Abdallah Mohamed Saleh, known as Salah Gosh, as chief of Sudan’s National Intelligence and Security Service. • Along with the removal of the defence minister, Sudan’s ambassadors to Washington and Geneva were also sacked. • The spokesman also announced that all army and police officers who participated in street protests which led to the ousting of former President Omar al-Bashir would be released. 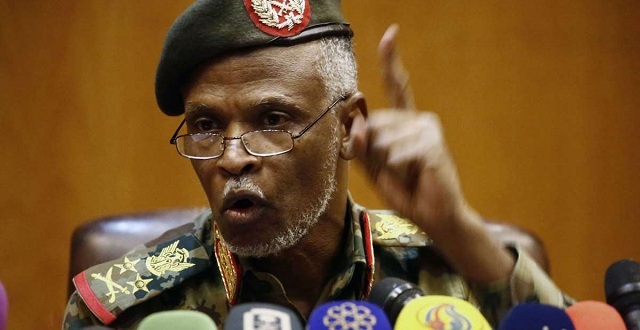 • Further, the organisation which had spearheaded the protests against Bashir, the Sudanese Professionals Association, called on the military council to immediately transfer power to a civilian government. • Earlier the military council met with political parties and urged them to agree on an independent figure to be the country’s prime minister. General Abdel Fattah al-Burhan, who took the oath as the chief of the military council after his predecessor stepped down a day after ousting long-time leader President Omar al-Bashir, is committed to having a complete civilian government. The foreign ministry of the nation also urged the international community to back the country’s new military rulers. Sudan’s long-time president Omar al-Bashir was removed from office and arrested on April 11, 2019, following months of protests against his regime. The 30-year rule of Omar al-Bashir was replaced by a military-led transitional council and a three-month state of emergency was enacted. Despite this, protests are still on. The protesters are looking for democratic government in the country as they believe military rule did not completely phase out the previous regime. They stated that just five or six people have been replaced, while the regime remained the same.